Welcome to Kehilat Tsva`ot Yerushalaim! We are a small Messianic Jewish Congregation online without national borders. We consider ourselves foremost, citizens of the Kingdom of Heaven, serving the King of the Universe, Messiah Yeshua. While we appear small in number, we work with the armies of heaven to do spiritual warfare for HaShem in Eretz Yisra`el. One shall always find us busy somewhere doing something for the L-rd. We are anything but an idle congregation. We believe in doing the Word, not just studying it; no mental assenters in our congregation! Our goal is to study the Word and not only make it applicable in our personal four walls but to go out and apply the Word in the spheres in which we operate. For example, if one of us flies to Turkey, we consider Turkey our spiritual warfare area. If one of us lives in the United States, the United States is our sphere of battleground. We operate from the Holy Mountain of G-d to the Native American world of the United States. In other words, we have pulled down all restrictions and limitations on ADONAI in our lives and allow Him to use us wherever we go and wherever we are at any given moment. We are Yeshua Commandos, constantly doing what Messiah shows us to do. Whatever our King commands, that is what we do. There is no debate, no argument, we just obey our King. We are a well disciplined group dedicated to speaking, praying and doing the Word of the L-rd, keeping His commandments and operating in the realm of ADONAI'S matchless love. There are no divas, no big names among us, just a group dedicated to His Majesty's Service. We have ONE RULER, Yeshua HaMashiach. We have ONE set of rules, The WORD of the L_RD. This community is not about us, it is about Yeshua and He alone. We are not out to convert Jews! While that might sound contrary to our purposes, we are not out to intimidate and confront people who are in covenant with ADONAI. We are completed Jews and while we desire our Jewish brothers and sisters to come to the knowledge of Messiah and into completion to walk in the fullness of the Brit Chadesh as Jews, we prefer to walk in love with them as Jews first. We fully believe the Old Covenant is operational and is an everlasting covenant, although, we believe the New Covenant which was promised by G-d through the Prophet Yimi'yah/Jeremiah to be superior. We seek to be a congregational home for Jewish believers in Messiah Yeshua who are called into covenant community with one another, seeking to proclaim the Good News of the Kingdom of Heaven, locally, in Israel and to the nations, within the framework of Messianic Judaism. (Ephesians 2:11-3:7; P`yilut Hashaliachim/Acts 2:42-47; 4:32-37; Matit`yah ha-Levi/Matthew 26:26-29; Yirmi`yah/Jeremiah 31:31-37; Romans 11:11-36; P`yilut Hashaliachim/Acts 21:20; Ur/Luke 4:42-44; Yochanan-Makabi/Mark 1:14-15; Matit`yah ha-Levi / Matthew 28:19-20). To worship and serve the G-d of Abraham, Isaac, and Jacob, and to proclaim Yeshua as the Messiah of Yisra`el and the whole earth. To foster spiritual growth, develop strong and mature believers in Yeshua, and develop a caring community in Yeshua who will serve one another in love and reflect the love of G-d for all people. To identify as natural and as the situation requires, adopted, members with the community of Jewish people throughout the earth and to assist in worthwhile Jewish causes through practical participation. 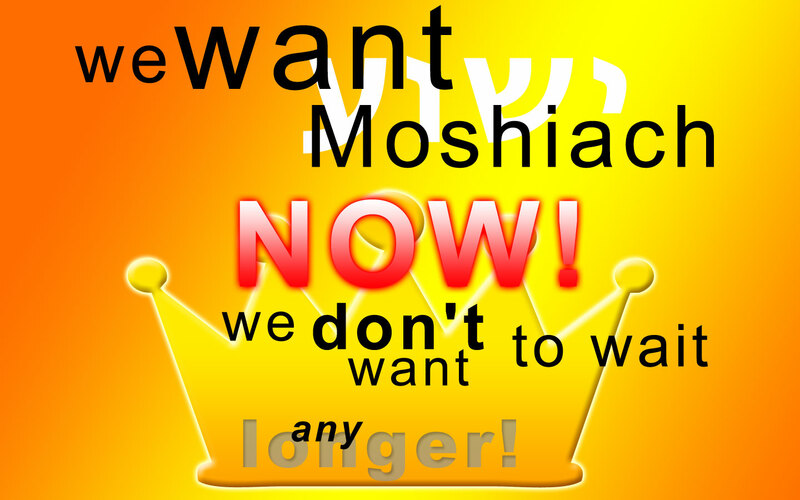 To maintain, cultivate and pass on a Messianic Jewish calling and expression of our faith in Yeshua by observing Shabbat, keeping the Feasts, and embracing the covenantal responsibility of Jewish life and identity that is rooted in Torah, expressed in tradition, and renewed and applied in the context of the New Covenant. To share our faith in Yeshua by word and deed, to our mishpacha, the Jewish people, as well as all peoples. To identify with the overall Body of Moshiach, to share a vision with and to train churches in the Jewish roots of our faith as well as to our calling and responsibility to love, pray for and support and witness to the Jewish people and Israel. To be a part of the end time restoration movement of the nation of Israel culminating in the final return of Yeshua; and to support through prayer, finances and other resources, ministries that are committed to this end. To impact our local and regional communities for good through charitable giving, involvement in community programs, and practical activities that promote biblically sound principles for a healthy society. to learn to appreciate, love, support and respect the Jewish people and nation of Israel. to enter a new life of zeal for Torah and empowerment by Ruach HaShem.